Pioneered since 1995, visco elastic prevents pressure ulcer development for patients at VERY HIGH RISK. Available with Velcro if required. Soft edge construction avoids pressure behind the knees. 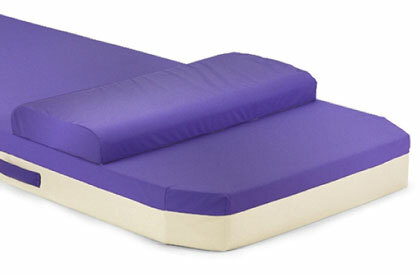 Supports the lower leg to lift the heels free from the bed, eliminating risk. Specially recommended for back pain relief. Visco elastic. Prevents pressure ulcer development for patients at VERY HIGH RISK. c. 11-12.5 kgs / 24-28lbs depending on size. VERY HIGH RISK: See Clinical Trial..
Full replacement 8 year warranty, excluding damage. Fire resistance certified to all international standards. Treated with Ag+ Silver Ions for extra bacterial resistance. Built in carry handles - most countries. Visco elastic. 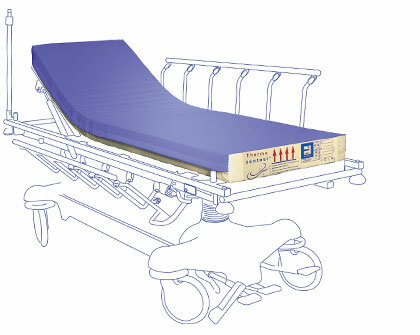 Prevents pressure ulcer development for patients at HIGH RISK. c. 10 kgs / 22lbs. HIGH RISK: See Clinical Trial..
Full replacement 7 year warranty, excluding damage. Treated with AG+ Silver ions to eliminate bacteria. For extra resistance to cleaning fluid residue, covers are now treated with Polychem™. Also treated with Ag+ Silver Ions for extra bacterial resistance. 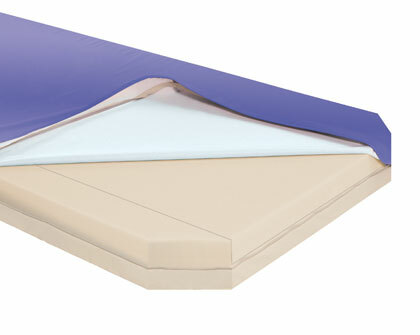 ﻿All Thermocontour hospital mattresses and cushions use a multi stretch textile coated separately 3 times with polyurethane to ensure a waterproof and vapour permeable cover. Distinctive design eases recognition of Thermocontour mattresses and cushions. 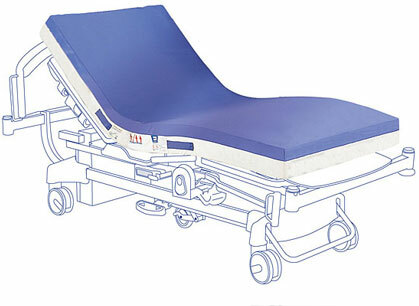 Smooth surface ensures easy body positioning. 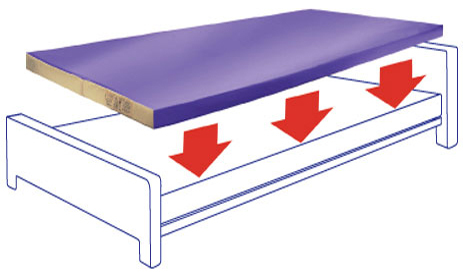 Non slip underside stops bed sheets slipping out of place, and holds the mattress in place on the bed frame. Carry handles for easy transport of the mattress. VERY HIGH RISK: See Clinical Trial. Full replacement 3 year warranty, excluding damage. ﻿Visco elastic. Prevents pressure ulcer development for patients at HIGH RISK. Full replacement 5 year warranty, excluding damage. 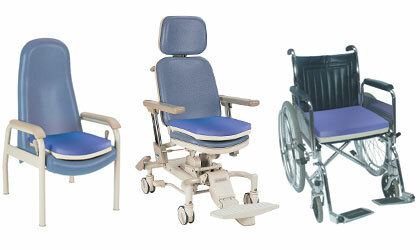 Supports the lower leg to lift the heels free from the bed, eliminating all risk of pressure ulcers forming. Firm edge holds legs in place. Non slip underside maintains position. ﻿Very soft surface prevents pressure on veins. ﻿Visco elastic insert follows the shape of the calf as it warms through. Full replacement 2 year warranty, excluding damage. Visco elastic. Prevents pressure ulcer development for patients at HIGH RISK. See Clinical Trial. Exceeds EU requirements for anti-polllution control in production, in use and at the time of disposal.